The Land Transport Authority (LTA) has granted a full-fledged taxi service operator licence to HDT Singapore Taxi (HDTT) after a two-year trial under the Transport Innovation & Development Scheme (TIDES-PLUS) involving 100 electric taxis. HDTT’s application was approved by LTA after an evaluation with its business proposal, company organisational structure, past performance records and financial capabilities to demonstrate its business viability to operate as a full-fledged taxi service. HDTT has been granted a 10-year taxi service operator licence with effect from 1 August. As an initial step, HDTT will be required to convert its existing fleet of e-taxis, and register them as regular taxis by 31 August 2018. HDTT will be required to operate at least 800 e-taxis in Singapore. HDTT will gradually increase its fleet size to a minimum of 800 taxis within four years, using an employer-employee model. As part of its business operations, HDTT will have to ensure that sufficient charging stations are set up island-wide to support its fleet while complying with Taxi Availability standards and Quality of Service standards. With HDTT’s into the market, there will now be seven taxi operators in Singapore. The ride hailing space in Singapore has seen major shake up in recent times. 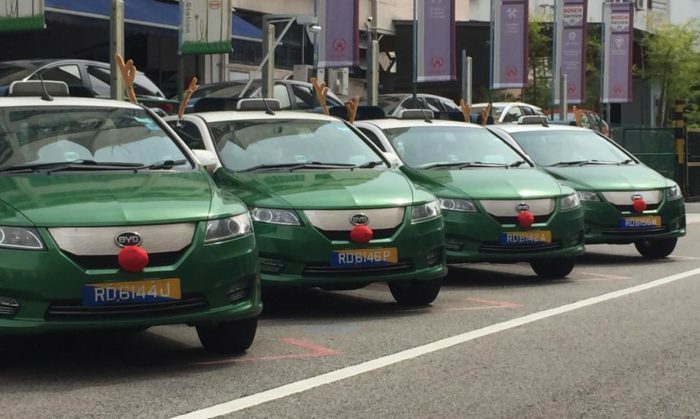 Within the taxi space itself, local taxi operator ComfortDelGro was tipped to be in talks with GO-JEK for a tie-up which allows the latter to enter the Singapore market. Meanwhile, Ryde launched a new private-hire car service as part of its expansion strategy. In April, India-based Jungnoo also revealed plans to enter Singapore while Filo Technologies said it was launching private-car hire services. The news comes on the back of a recent buyout of Uber from Grab which saw the former exiting the Singapore market. This saw Grab getting flagged by the Competition and Consumer Commission of Singapore for the “substantial lessening of competition” in ride-hailing platform services. Graham Hitchmough has been in Asia Pacific for over 12 years and has held several senior level roles within WPP. .. This creative video has gained huge popularity, having garnered over 3.4 million views on Grab Thailand's Facebook page, with over..